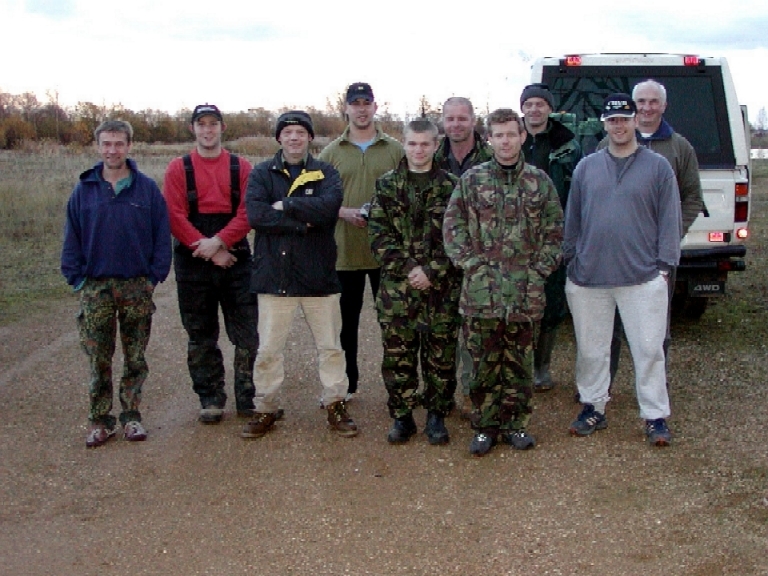 On November 16th 2003 14 Anglers took part in the Annual Pike Match to raise money for Second Chance Children’s Angling Charity. All in all 32 Pike were caught on the day and for the time of year quite sunny and warm (eventually). Top rod for the day was Harold Taverner catching 8 pike but the biggest fish for the day fell to Gareth Lewis with an 18lber from the Orchid Pit on a brand new lure. So well done to you both and Gareth took the whip prize on the day for biggest fish. A donation of £110 will be made to the Charity after prize money being deducted. Here are a few of the happy bunch. Well done to those that took part and hopefully we will get a few more next year.